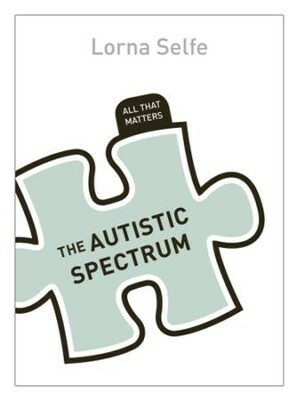 In The Autistic Spectrum: All That Matters, Lorna Selfe explains that research over recent years has shown that there is not one such thing as autism but in fact a variety of autistic spectrum disorders. The causes of these, or the reasons for their apparently increasing prevalence in the UK and North America while in many other perts of the world they are hardly recognised at all, remain the subject of intensive research and debate. Dr Selfe strips away the many myths around autism, focusing instead on what we really know about its varieties, causes and treatments. As such, it is the ideal introduction to autistic spectrum disorders for psychology students, health practitioners, and the parents, carers and friends of people with autism. This accessible and readable book gives a fascinating introduction to the autistic spectrum - and what matters most about it. Dr Lorna Selfe is a Chartered Psychologist who has over twenty years experience of helping people with autism. She has a PhD in Psychology from the University of Nottingham, and is an Associate Fellow of the British Psychological Society. She has written widely on autistic spectrum disorders, and her expertise is regularly called upon by courts, adoption panels, and local authorities.Dr Lorna Selfe is a Chartered Psychologist who has over twenty years experience of helping people with autism. She has a PhD in Psychology from the University of Nottingham, and is an Associate Fellow of the British Psychological Society. She has written widely on autistic spectrum disorders, and her expertise is regularly called upon by courts, adoption panels, and local authorities. I'm the author/artist and I want to review The Autistic Spectrum: All That Matters / Digital original - eBook.